The External Interface Application Station (89-EIS) adds to the Programmable Controller Troubleshooting Learning System (890-PECB) to provide interface to external discrete I/O devices. The 89-EIS includes (8) discrete inputs and (8) discrete outputs. 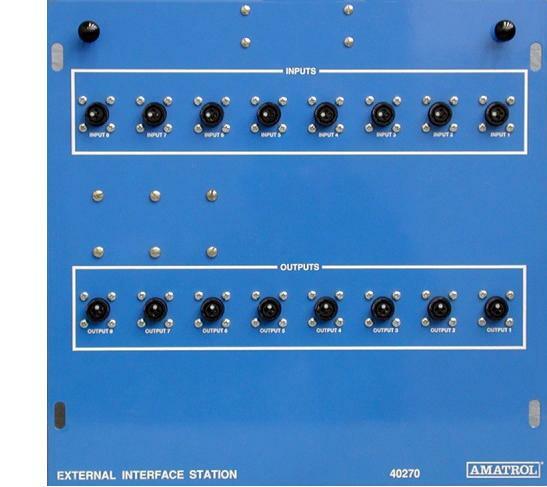 Components are mounted to a silkscreened panel and wired to a single interface connector, which automatically plugs into the 890-PECB I/O and fault system when the panel is inserted into the 890-PECB workstation console. Each input and output interfaces to an external device through a quick connect connector and cable assembly with plug-in jacks on one end.